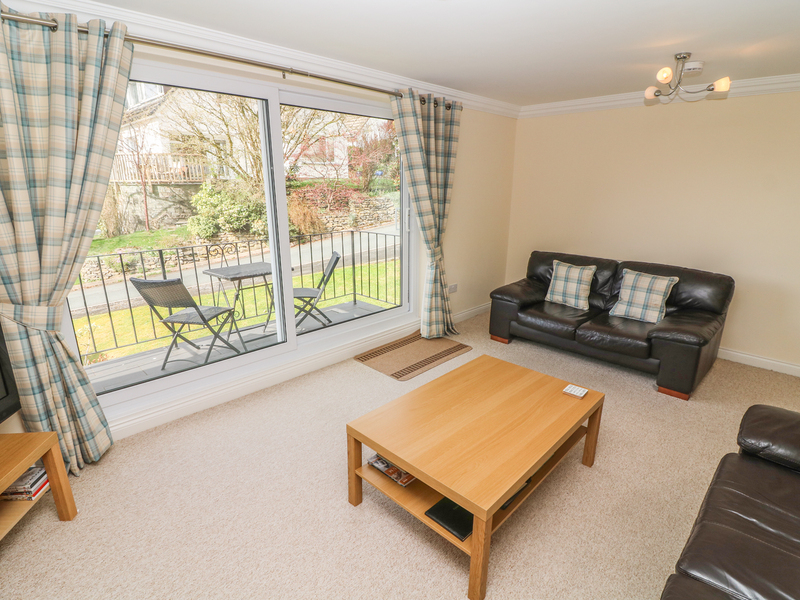 Lower Brantfell is a spacious apartment overlooking Lake Windermere in the village of Bowness on Windermere. The property is set on one floor and sleeps four people over two double bedrooms, one with TV and balcony, also with a family bathroom and additional WC with basin. The apartment features a large lounge with floor-to-ceiling door windows leading to balcony and a modern kitchen with dining table. Outside is a shared lawned garden plus off road parking for one car. 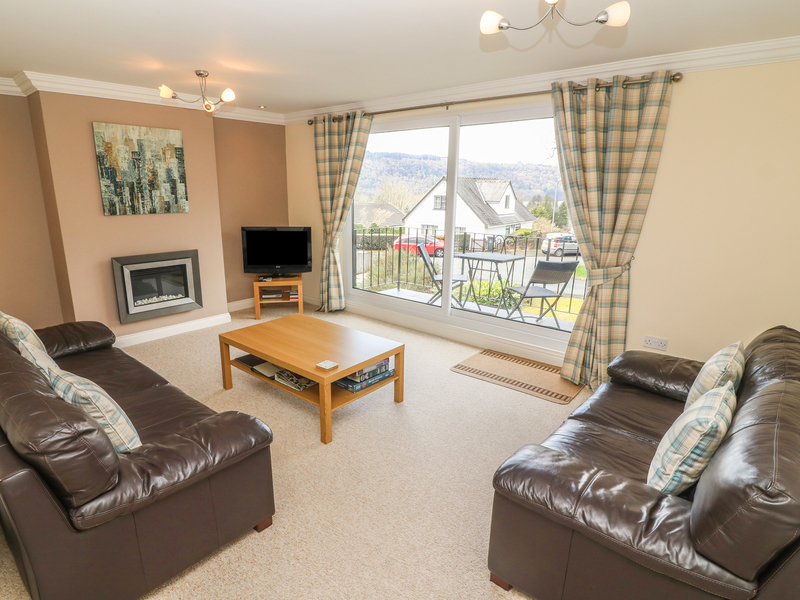 Located just a short stroll from the centre of the village and Bowness Pier, Lower Brantfell is a well-equipped and tasteful holiday apartment which is ideal for a small group or a family. Gas central heating. Integrated electric oven and hob, microwave, fridge and compartment freezer, TV with DVD. Fuel and power inc. in rent. Bed linen and towels inc. in rent. Off road parking for 1 car. Shared lawned garden. Two balconies with garden furniture. Sorry, no pets and no smoking. Shop and pub 5 mins walk. Lake 5 min walk. Note: Max 4 adults. Note: Access from the parking area to the property is via a staircase or a small incline.